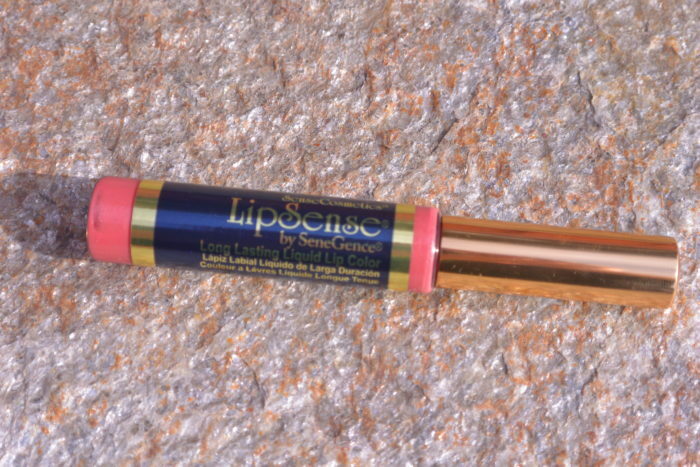 Today I have a different (non polish) review for you, I am testing out the long-lasting LipSense® by SeneGence® lipcolor. 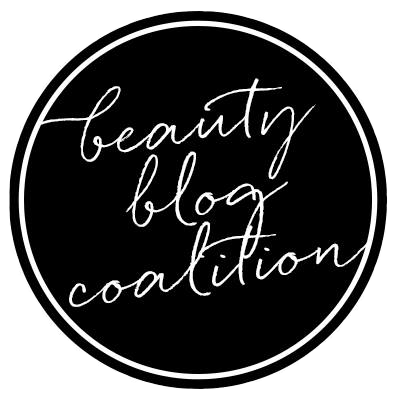 I know many of you have seen those magical videos floating around Instagram and Facebook of a lip product that seemingly lasts through anything. I was able to receive this product and wanted to test it out to see how it held up under different circumstances. 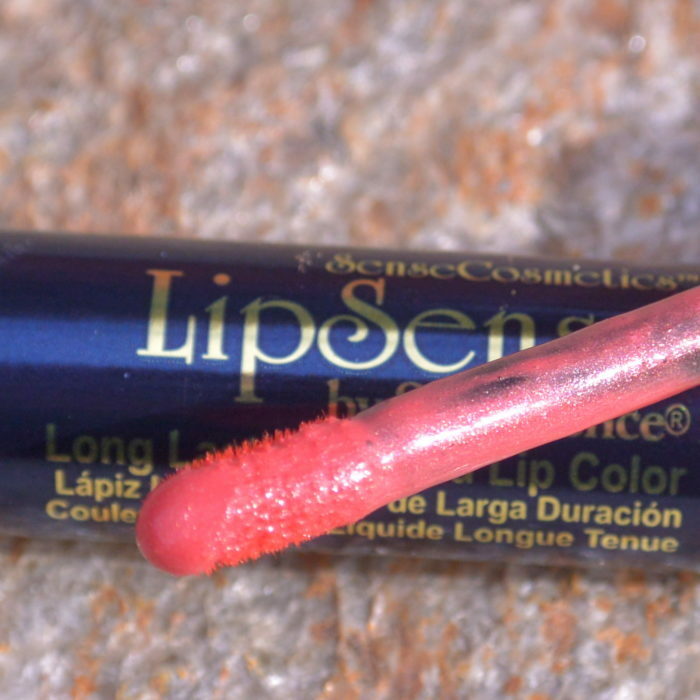 This shade is a rosey pink that has red undertones and subtle golden shimmer. 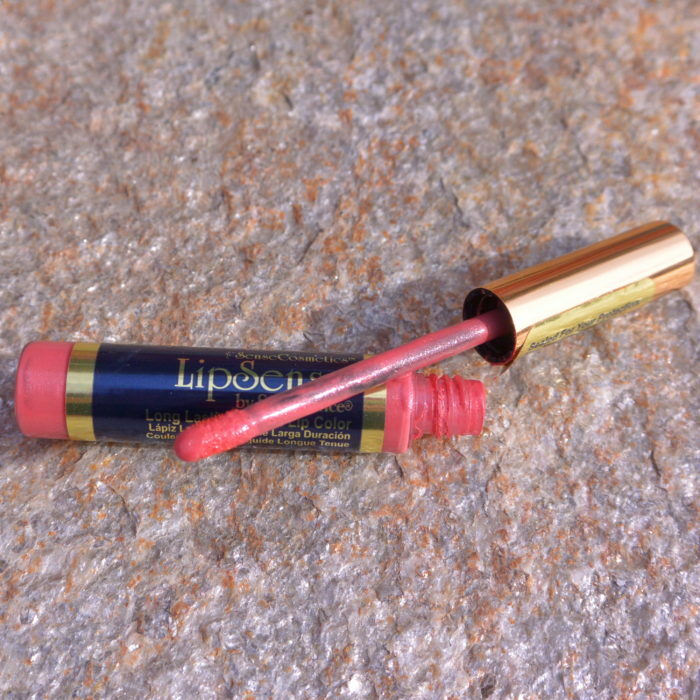 It applies more like a gloss in terms of coverage but dries to a matte finish. This shade is on the sheer side and while the directions say to apply 3 layers you may need more to achieve a deeper color payoff. I also noticed a burning sensation on my lips after application, a “tingling” sensation is said to be expected but I felt it was a bit stronger than a tingle. This went away after it dried. 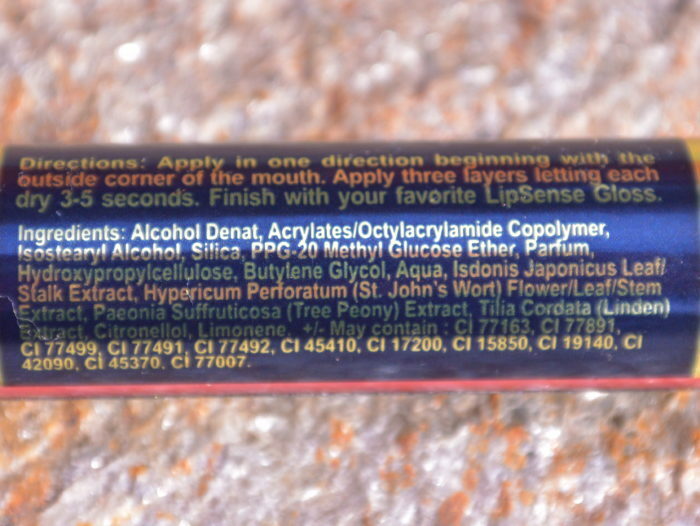 I also found that it wasn’t moisturizing like it claims to be, but it also didn’t dry out my lips. It does have a good wear time and seems to fade off rather than flake or peel. If you aren’t allergic to fragrance/parfum I think it’s worth checking out, but if you are I would stay away as to avoid reactions. To see how this product tested check out my video..
Price and availability: These lipcolors are $25 and are available through Betty’s Beauty Bazaar . I’ve been wanting try this brand for awhile now. Wow! I have to say, I am both deeply impressed and a bit frightened by how well it stayed put through all of your demos. 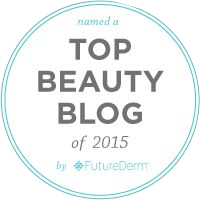 I love long lasting makeup, but also am a bit hesitant if the removal process is a daunting task. What would you recommend as the best method of removal for this type of lipstick? My friend Traci says she use the Neutrogena cleansing bar to remove it, otherwise is will fade off after hours of wear.